Hey Everyone and welcome to this weeks installment of #MeetTheBeauties. Today is all about Ana from FadedSpring. So without further adieu, Lets learn a little more about Ana from FadedSpring. 1: Tell us a bit about yourself. 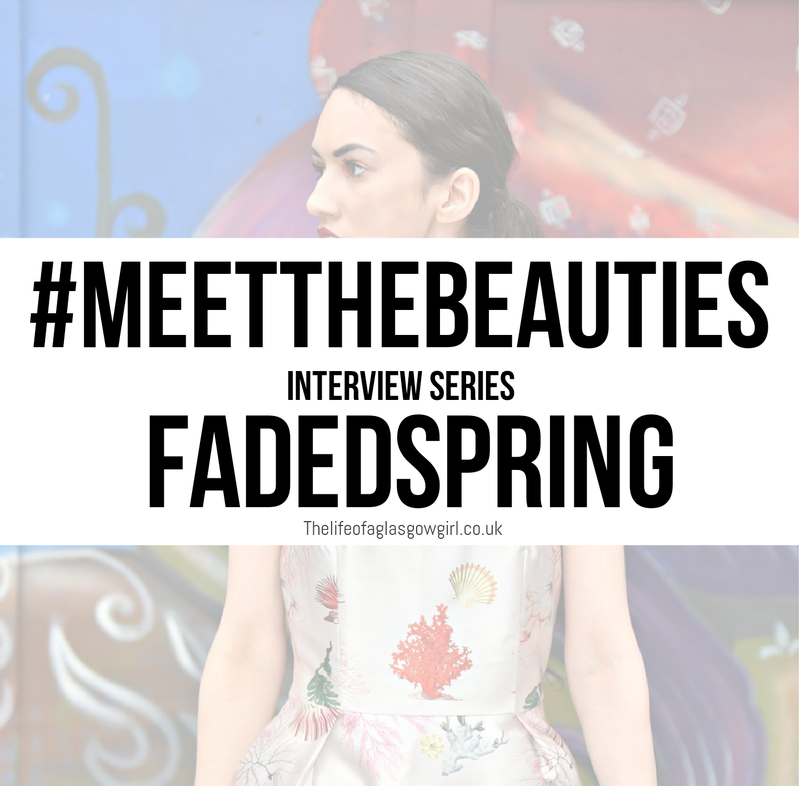 Hi everyone it is so lovely to have Jordanne Lee interview me, she is so lovely and I hope you are enjoying her meet the beauties series as much as I am! My name is Ana, I am 22 and of Portuguese descent. I have not had the easiest start to life and was abused and bullied as a child and teen. Despite the short-lived childhood, I found that completing university and graduating with a first made all my life's struggles worth it and despite everything I proved everyone wrong. It has been a long and tedious rise to the top but I am grateful for every obstacle that has tested me and made me into the person I am today. So what would you like to know about me? I love comedies and have a wicked sense of humour, something which some readers might find surprising because of my blog content and focus and find that laughter is life's greatest medicine, it is a true blessing to be able to laugh. I love to eat and there is nothing I love more than catching up with friends, eating delicious foods and sampling divine drinks . From Indian to Thai I love food that is full of flavour and if I could eat out everyday I totally would! Besides my love of food and comedy I am a big fan of reading and those who read my post 'Saying Goodbye' will know that I have recently moved to London and sacrificed 95 % of my books because I have no living space, something which was a sad moment but a needed purge to survive in London. My favourite genre has to be Historical Fiction, especially medieval, Tudor and Ancient Egyptian History. My favourite historical figure is Anne Boleyn and at least 65% of the books I have left are on Henry VIII's infamous second Queen, someone who was misunderstood in my opinion. Of course no book is complete without famous last words and one of my favourite pastimes is writing short stories and poems, something I have been doing since the age of six, as a therapeutic medium through which I could be free to express myself without judgement. As a creative soul without a practical bone in her body I am naturally drawn to the arts and from the ages of 5-18 I was acting, singing and dancing and even performed in Her Majesties Theatre, home to Phantom of the Opera with my stage school. I was noticed in a year Six play acting out the role of 'Tickle' and 'Slap in Ali Baba and was consequently enrolled in part time theatre school. My love of musical theatre is renowned and I have watched at least 120 shows including my top three The Lion King, Wicked and Charlie and The Chocolate Factory. 2: What is your blog name and how did you come up with it? I have always loved the chasm between the seasons, where summer fades into Autumn and Winter unravels as spring. 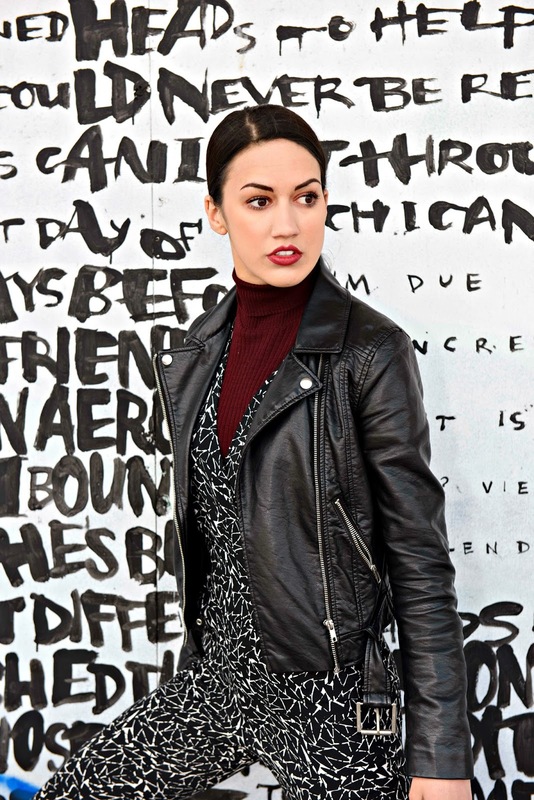 The beautiful thing about the seasons is that in the UK its so unpredictable meaning that our personal style is eclectic, ranging from a tea dress one day to a faux fur essemble the next. Its one of the many things that I love about the UK and inspired my blog name 'Faded Spring'. I was using name generators to come up with a unique and distinguishable name for my blog and after rejecting all of the options available I looked outside and saw the leaves fade into a disintegrated crisp. Summer was nearly over and autumn was beginning to loom upon us. 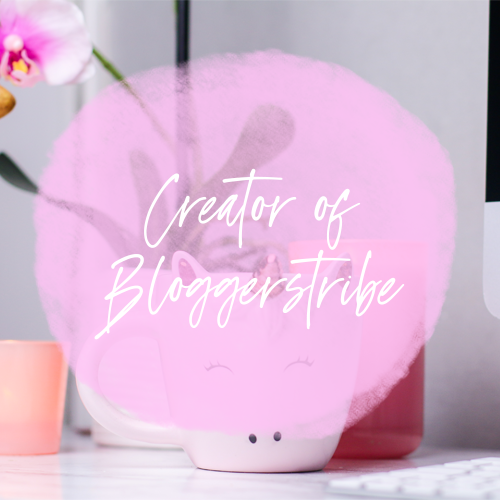 It came to me in a flash, Faded Spring, the blog whose ethos was to stand out to the crowd and like the everchanging turnover of the seasons my content would not be limited to the confines of a 'typical' blogger stereotype. As blogger's we are often pigeonholed into niches when in reality we change in accordance to mood and circumstance. I wanted to change the perceptions and stigma surrounding the nature of being a blogger and prove that there is more to us than just a penchant for 'photos'. We are writers at heart and models second, never forget why you started blogging in the first place. 3: How long have you been blogging? Well as of the 16th August I will have been blogging a year, a huge milestone for someone who is constantly told that blogging is not fruitful and is a silly superficial occupation. A big-excuse my french- f**k you to all the haters. Its funny because there are those who told me how easy blogging was and yet when they tried to do it themselves gave up soon after because they realized how much time and effort it takes to operate a blog. 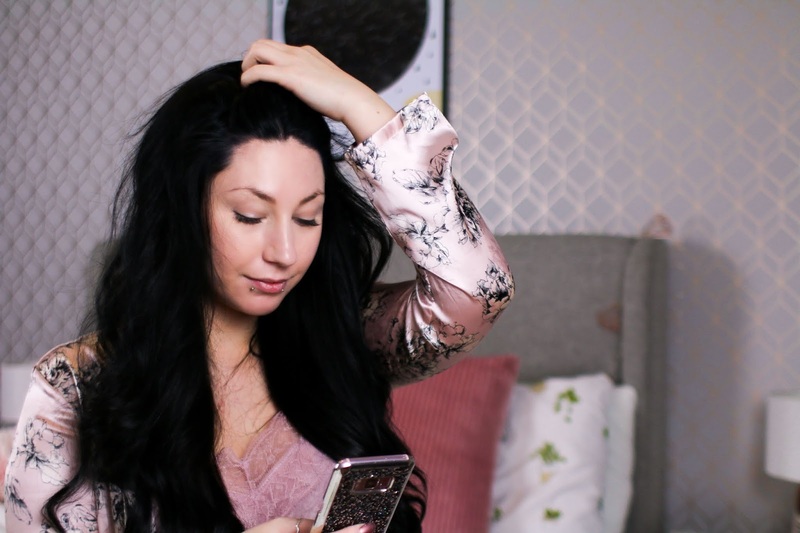 I would not change a thing, I love blogging with all of my heart and I dream of the day where I do not have to work two full time jobs, run a freelance business and manage my blog at the same time. I want to be a full time blogger so badly and I hope that all of my hard work gets recognized and accredited . In less than year I have already achieved so much, I have won two blogging awards, worked with huge prolific brands but above all I have made new friends who I will keep for life. The blogging community has a reputation but I have found many of the bloggers I have come across to be kind, endearing and a pleasure to know personally. Its a beautiful thing that we all have and blogs are a legacy that we can cherish forever. I know that despite what people may say that this blog can capture memories and be the online diary that will entertain me and evoke a range of emotions for years to come . 4: Who/What Inspired you to start a blog? Its funny because growing up I had read blogs like 'Song of Style' and 'Lace & Locks' which had fueled my passion for writing but I didn't take the plunge until last year. Originally I was going to start a blog in my second year of university but I am so glad that I waited until the timing was right. Having been sick since the age of sixteen, during my third year I became seriously ill, losing a tonne of weight and being barely able to drink, eat or sleep. I was vomiting all the time and finding daily activities hard to deal with. It was on a rare night when I was feeling ok that my friend told me how she was going to start blogging and I thought to myself 'well why don't I start living my dream?'. So I did, I started blogging as a hobby and as a way of coping with the depression and anxiety that came with being seriously ill. 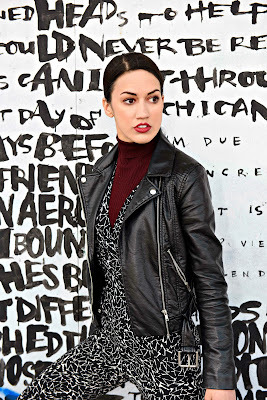 Slowly but surely I found my voice and while I started with the intention of creating a fashion blog I realized that I was a very different kind of blogger; I loved clothes but I also liked writing personal diaries. I loved street art but I also loved advocating for human rights and campaigning against stigma, prejudice and distortion of identities. It was all so exciting, I was finding that for the first time people actually wanted to hear what I had to say and it felt liberating. Now, nearly a year on my health is so much better and I have a new zest for life that would not have been visible had I not been blogging. Blogging saved me from others and from myself. My state of mind a year ago was poor, with friends turning against me and bullies targeting and making fun of the way I looked. Not any more, I couldn't give a s**t what people think anymore because I know, thanks to blogging that I should focus on the positives and the warm, lovely people I have to support me rather than nobodies who thrived on my insecurities and low self-esteem. 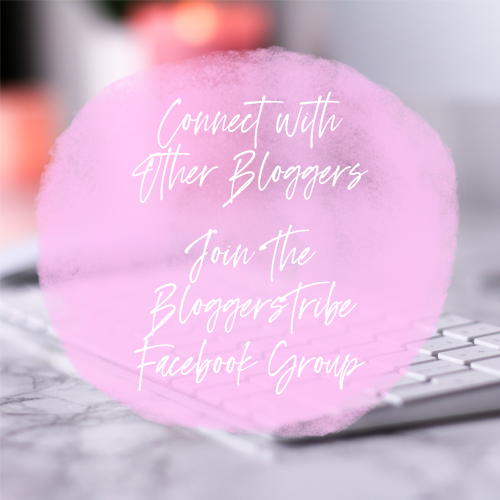 5: Do you have a tip you can share for new bloggers? I guess my one tip is to just be yourself. Don't copy someone else because you feel you cannot be original because let me tell you one thing; you are unique and no one can ever be the same as you. Be inspired, do not imitate and you will see that your readers will love that you are different to the homogeneous flock of sheep that parole the blogging industry. I believe that being different is beautiful and whereas pre-blogging I used to hide how different I was now I relish it and you should too! 6: Tell us a random fact about yourself. I once won a reading competition at the age of 10 which was open from Year's 1-6, with my rendition of Chinese Cinderella, a book about a young girl ( like myself at the time) who was being abused by her stepmother, something which I was going through. My stepmum physically and mentally abused me and on occasion tried to starve me, blackmail me and drown me. I read the book as though I was Chinese Cinderella, dreaming of a life beyond the abuse. The teachers were all crying and awarded me the prestigious prize and I can't tell you how happy that made me feel. Shortly after, on a trip to Madeira my parents home country, my Portuguese family saw E abuse me on multiple occasions and informed the police and Social Services after seeing me covered in bruises. When I went back to school I was taken into care and I hugged my copy of the Chinese Cinderella realizing that my fairytale was about to begin. 7: Is there anything you know now that you wish you knew when you started blogging? I wish that I had more faith in my self as a writer and not be so harsh on my self when things don't turn out as planned. I was frustrated that I wasn't earning any money but fast forward to now and I am earning money and being recognized for my writing abilities in more ways than one. My point is be patient because accolades and rewards comes to those who wait. I worked very hard and it took a while before I was recognized for who I was. I want my past self to know that everything is going to be okay and despite the struggles just keep pushing for that dream to become a reality. 8: Describe your perfect Night in. Ooh this is a pretty easy one for me. My perfect night in would be me and my best friend eating a delicious curry and having a giggle while we watch a comedy marathon. My perfect list would be Friday Night Dinner, American Dad, Inbetweeners and Fresh Meat. 9: Looking back, Do you have a faviourite post/topic that you have talked about? Its quite hard to pick a favourite because I have poured my heart and soul into many posts but if I had to pick one would be one of my most recent ones 'Why No Means No'. I have been sexually harassed on many occasions and I felt as though it was time to speak out about it because there have been points where I did not know whether I would escape alive. I was sexually harassed by a landlord who made disgusting comments about me and told me what I needed to do to pleasure him and he made me feel vulnerable and afraid. On other occasions I have seen others being harassed and have stepped in and saved them from their attacker. I have been strangled and cornered but I will never back down until we are made to feel safe to walk the streets. That goes for men too, so many guys have been victimized and where is their advocate to shine a light on their troubles? So many men do not report sexual harassment when we should tell them that it is ok and that we will always be there to listen. 10: What are your links, where can we find you? I love finding new accounts, especially on Instagram and would love some new followers! Train all the way, I can't stand buses and I am probably one of the most impatient people you could meet so I hate waiting around! Ooh tough one as I love both and often fantasize about being a mermaid lol. If I had to pick one it would be the beach because I love swimming in the sea. I love both but I am a cat lady. My aunty had a cat who died on my 15th birthday also at the age of 15 and I have been heartbroken ever since. I love, love, love kitty cats. I love a shower when I have been out in the cold and a bath when I need to relax. That being said there is no bath only a shower in my new place so I guess I would say shower. Pasta, I mean Pizza's great but pasta wins every time! I like both but I would say a night out that would involve going out for a meal, dancing or going to a music gig/clubbing . Why do you ask such difficult questions lol! I love movies and music but music would probably be my favourite as I love to sing and I listen to music all the time. Fizzy Juice or Hot Drinks? I can't have fizzy drinks because of my acid reflux and sick stomach so I would say hot drinks. As I am allergic to caffeine I have decaf tea and decaf coffee. I love chocolate but I like cake more. My favourite is Tiramusu ( decaf of course) and strawberry cheesecake yum! I had both at one point but then I got broke and since Amazon Prime wasn't showcasing my favourite drag queens, Netflix won the battle. So Netflix. Drop by next week for another installment of #MeetTheBeauties Interview series. Special Thanks to Ana from FadedSpring.